4X4. Only 1 careful owner. Strong towing capability. Great family SUV. No accidents or damages according to Carfax. Well maintained. Motored by a powerful 5.3L V8 Vortec engine linked to a 6-speed automatic transmission. Beautiful, Blue Granite Metallic exterior. Clean, spacious interior with Ebony upholstery. 16.9 cubic feet of cargo space with all seats in place and 108.9 cubic feet of maximum cargo capacity. Features include tri-zone air conditioning, stereo system with CD/MP3/Aux/USB, power driver seat, running boards, roof rack, and tow package. Capable of towing 8,500 pounds. Safety features include stability control, antilock disc brakes, front seat-mounted side-airbags, and side-curtain airbags. In government crash testing, the Tahoe received a perfect five stars for frontal crash protection. 4 nearly new and Top Quality Cooper Discoverer RTX- M&S Rated Radial Tires wrapped around Premium Quality Pro Comp Extreme Wheels! 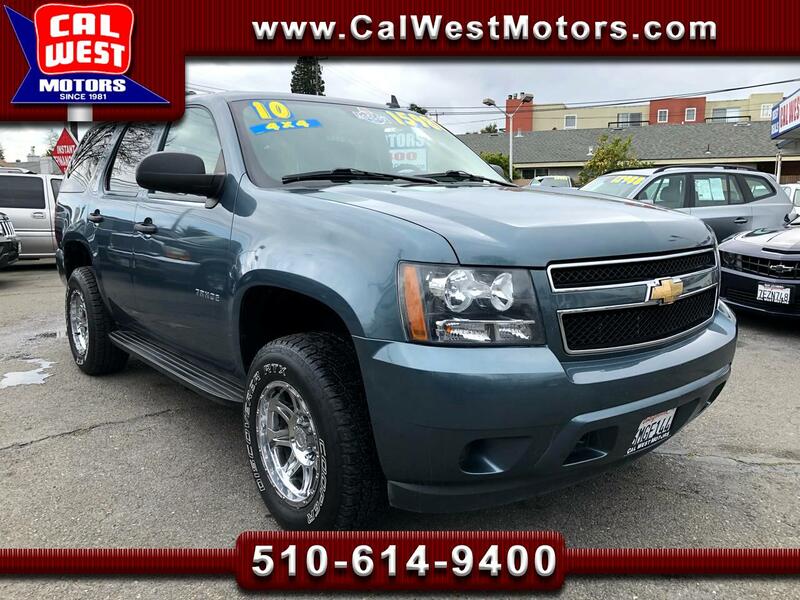 This Tahoe's 4X4 Capabilities, 1 Owner history, strong towing capability, spacious interior, Pro Comp Wheels with Cooper Discoverer RTX Tires create Great Value under $16,000!